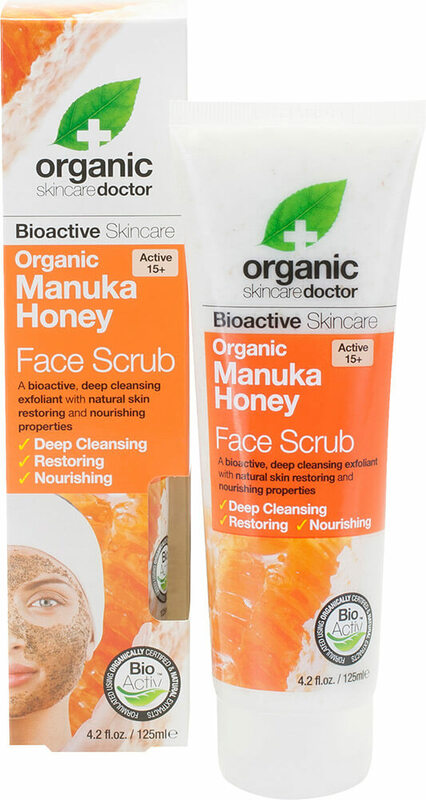 Organic Doctor® Manuka Honey Face Scrub - A bioactive, deep cleansing exfoliant with natural skin restoring and nourishing properties. Bioactive organic Manuka Honey has a host of skin repairing and restoring properties. In combination with a complex blend of bioactive and natural ingredients and formulated using natural microparticles of volcanic lava and corn cob powder, we have produced an exceptionally deep cleansing, repairing exfoliant that removes impurities and excess oil whilst restoring, nourishing and moisturizing the skin to give a radiant, youthful glow.